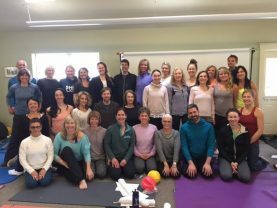 This workshop is a fantastic way to better understand how the breath works in the body and how we can harness its energy to improve our Pilates practice. 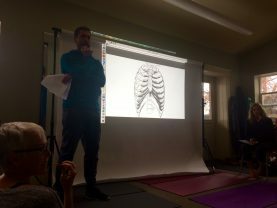 Cara teaches several different breathing techniques from disciplines ranging from Kathy Grant’s work to ancient yogic principles, while Jeremy contributes with wonderful anatomy explanations and videos. 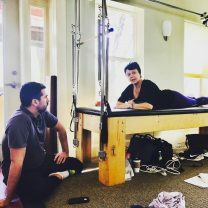 All the information is applicable to Pilates teachers and their clients, but massage therapists, physical therapists, etc can also benefit greatly from the workshop. 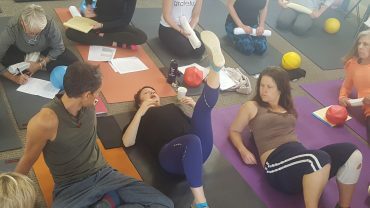 MSMS courses always bring me deeper into the understanding of my own body and into movement itself. 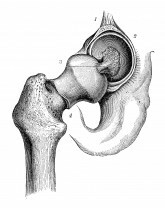 My clients always benefit post-MSMS workshop but of course I feel that I have gained the most! Specifically this course made breathing much less of a mystery to me. 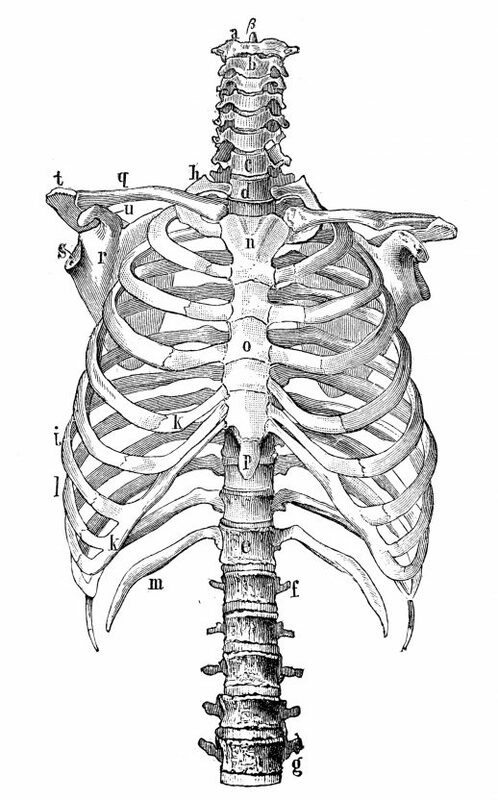 I’ve been teaching pilates for two years now and have been somewhat underwhelmed with the amount of applicable information available to pilates instructors for applying “rib cage” breathing and other breath forms to the pilates work itself. 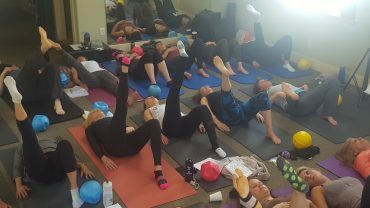 Understanding the physical nature of the thoracic and abdominal “containers” and the various breathing exercises that can bring greater awareness to these containers (and the Kathy Grant work as taught by Cara Reeser) was wonderful and filled several gaps in my physical and mental understanding. I’m very thankful for the work Cara and Jeremy put into this workshop!